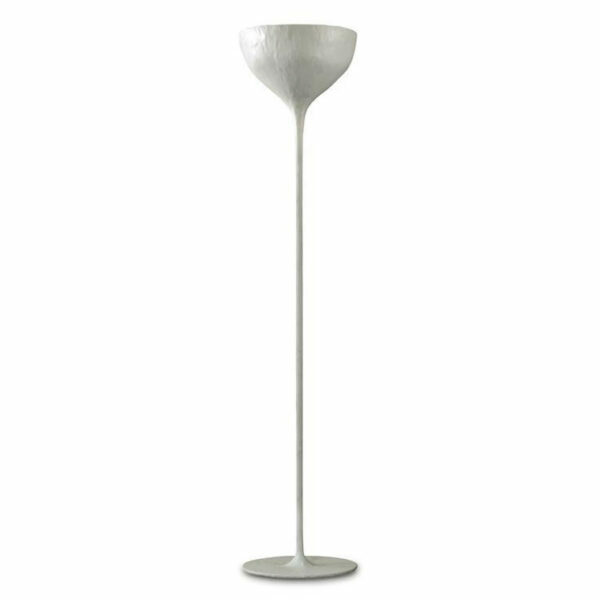 A sleek well-proportioned uplighter floor lamp with a sculptured, hand-worked gesso finish. Some cracking or splitting may occur over time, which adds a gradual patina and is not considered to be a defect. Each piece is finished by hand by artisans and is unique.